Cut the beef into cubes and sprinkle with flour. Mix it well. 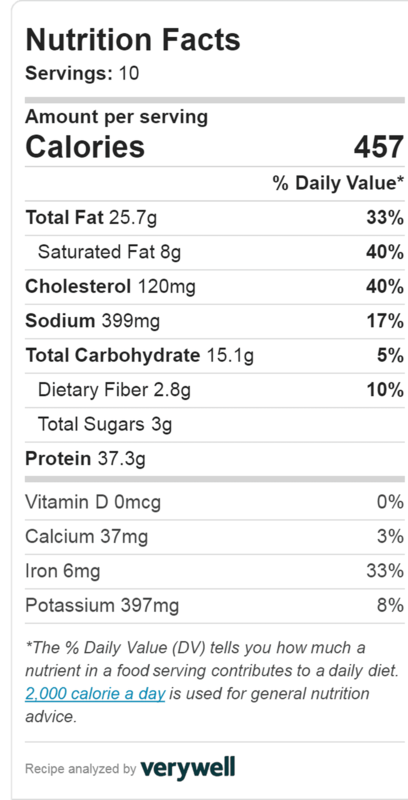 Select (Sauté) program and set Mode Indicator to “More”. Adjust time to 30 minutes. Pour olive oil, add the meat and cook it for about 5 to 7 minutes or until seared well on all sides. Keep moving the meat cubes, so they won't stick to the bottom of the Inner Pot. Add the beef broth and wine. Deglaze the bottom by using a spoon. Stir in the onions, carrots, potatoes, celery, garlic and tomato paste. Add the salt, rosemary, thyme, bay leaves and ground black pepper. Close the lid and turn the steam release handle to “Sealing” position.Cancel (Sauté) program. Select “Meat/Stew” program. “High” pressure mode and 35 minutes time are default settings. When time is up, open the lid by making a quick release. When the lid comes off, add green peas and mix thoroughly. Select “Sauté” program and cook it for about 1 minute.Cancel “Sauté” program. Beef Stew is ready now. Serve it. Remember: Beef Stew ingredients are traditional but the time we spent on making this meal is extraordinary shorter. Finally, after making more than 20 video recipes with Instant Pot, we felt that we gained enough confidence. It's time to start converting regular recipes into pressure cooking meals. Our first converted recipe will be a Beef Stew. Laura Vitale inspired us to make this recipe. 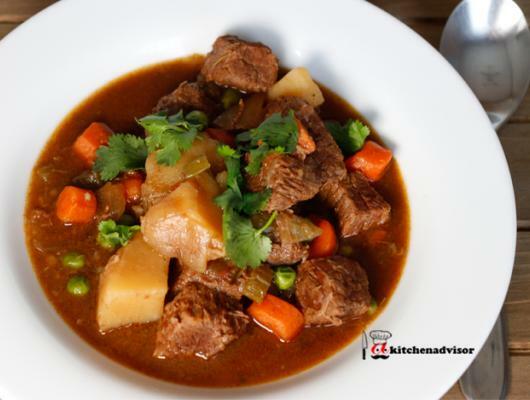 Certainly, everybody knows that hearty, tasteful and flavorful Stew is a real jewel in the crown of the comfort food. Many of us figured out how to make Beef Stew in Slow Cooker. Here is a challenge. Frequently, there is no enough time during the weekday nights to make this delicious winter dish. What if I tell that you can make yummy and succulent Beef Stew in 1/3 of a time you would have to spend on Slow Cooker recipe. Of course, we will be using all the traditional Beef Stew ingredients to make traditional Beef Stew recipe. The best recipes for busy families is the motto of our website. Start experimenting with regular recipes after gaining experience and convert them into Pressure cooking fast and delicious masterpieces without compromising quality. Stay tuned as the list of our simple step by step recipes is updated frequently. Also we focus on the healthy recipes only. The pressure cooker recipes and ideas become more and more popular and this exactly matches our strategy as well as our promise to our customers is "Best recipes for busy families". All best recipes for busy families have been thoroughly tested by us. We only recommend recipes and kitchen appliances that we use and like. Take a look at our unbiased review of Instant Pot. Enjoy your instapot recipes.